Thousands of oval-shaped depressions, known as Carolina Bays, pockmark the coastal plain from Virginia to Georgia. Originally, there were about 500,000 Carolina Bays on the southeastern coastal plain, but farmers fully or partially drained most of them. They range in size from a small fraction of an acre to tens of thousands of acres. Some stay wet year round, while others may only hold water for a few weeks of the year. Small bays devoid of egg and tadpole-eating fish are ideal breeding grounds for amphibians. The wetland habitats, even if seasonal, provide critical environments for aquatic species, including rare flora, such as pitcher plants. Aerial photograph of some Carolina Bays in South Carolina. Most geologists believe they are formed from a combination of wind and water erosion as well as peat fires which lower the elevation of the depressions. A minority of scientists believe meteor or comet impacts created Carolina Bays, but convincing evidence debunks this theory. There is a complete absence of the kinds of rock that are associated with extraterrestrial impact. Moreover, the ages of Carolina Bays vary greatly. Not all have been dated, but some are tens of thousands of years old, while others may be as young as 6500 years. Instead, Carolina Bays were likely formed from a combination of wind and water erosion and peat fires. Stilted trees growing in a dried out Carolina Bay. A fire just burned the peat causing the elevation to decrease about 4 feet. The tree roots appear as stilts. All Carolina Bays are oval in shape and are oriented perpendicular to the prevailing winds of the Pleistocene. 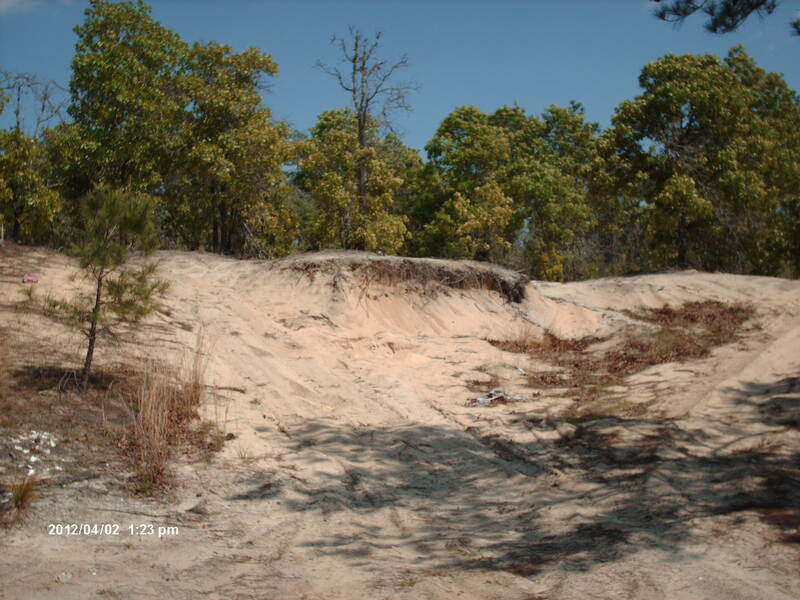 Much of the loess, or sand constituting dunes in the southeast, may have even originated from Carolina Bays. The two geological anomalies are closely interrelated. 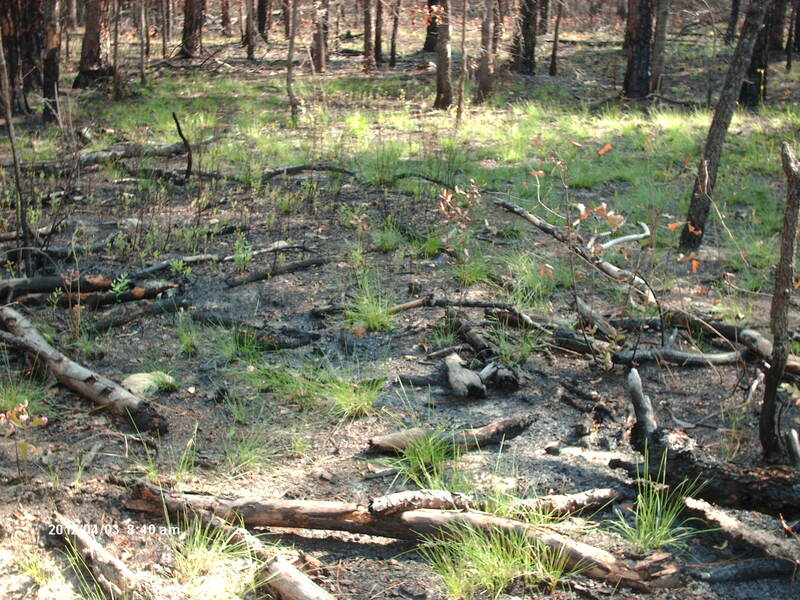 During dry climate phases, peat swamps became dessicated. Lightning strikes ignited fires that burned off all the peat, thus lowering the elevation by as much as 4-5 feet. Wind blew the exposed soil to the northeast, explaining why a sandy lip can be found on the northeast side of a Carolina Bay. Later, after the rains returned, the water table rose and ponded water driven by wind also eroded land along the same axis. Most Carolina Bays formed during stadials of the Pleistocene, especially the Last Glacial Maximum (~28,000 BP-~15,000 BP), but Lake Mattamuskeet, an enormous Carolina Bay near the North Carolina coast just a few miles from Pamlico Sound, is a young one with origins dating to about 6500 BP. Scientists knew the lake had to be younger than 80,000 years old because a high stand of the Atlantic ocean inundated this area until then. When they took cores down to that aged level, they found a layer of marine sediment, including saltwater species of clam and snail shells. Above this layer they found peat. Charcoal and estuarine silt (also known as loess) was mixed in with the peat. The former is evidence of peat and forest fires; the latter was windblown from what is now Pamlico Sound, but was then high and dry land because during the Ice Age the Atlantic Ocean receded many miles to the east, leaving exposed marine-derived soil. The scientists used ground penetrating radar, vibracores (http://www.vibracoring.com/), and radiocarbon dating to determine that the present day site of Lake Mattamuskeet was a heavily vegetated forest from about 12,000 BP-8500 BP. Peat swamps grew in 3 areas within this site. Periodically, they would burn, and silt from dry land or what is now Pamlico Sound would be deposited here via wind. About 7,000 BP the ocean level rose and filled in Pamlico Sound. Lake Mattamuskeet began forming about 6500 years BP during dry spells when peat fires left depressions of dry earth further scooped out by wind. These peat fires still occasionally occur as the above photo shows and they can last for over a year as they slowly smolder. An Indian legend even supports the scientific study of how Lake Mattamuskeet formed. Supposedly, the Indian legend claims a great fire burned here for 13 moons, creating a depression that later filled with water. According to scientists, the 3 bays stopped forming ~5,000 years ago, and the water table rose, joining the 3 lakes into 1. Lake Mattamuskeet in North Carolina is a Carolina Bay within a few miles of the sea shore. It’s a shallow freshwater lake though a manmade canal was constructed in 1850 in a failed attempt to drain the water into the saltwater Pamlico Sound. In this photo it looks as deep as a reservoir, but the depth is only 2-3 feet deep. Reportedly, there is good fishing, crabbing, and duck hunting here. Scientists studied the geological history of this Lake and determined it’s just ~6500 years old. The Miccosukee Gooseberry grows in just 2 counties hundreds of miles apart. One population clings to the shoreline of Lake Miccosukee in northwest Florida, and it numbers about 5,000 individuals. The other population lives in McCormick County, South Carolina near the eastern border of central Georgia 1.5 miles north of Clark Hill Lake. In this county there are 2 separate populations: 1 group is in Sumter National Forest and the other is located in the Steven’s Creek Heritage Area. The McCormick County population is estimated to number between 13,000-160,000 bushes. Leaves, flowers, and twigs of the rare Miccosukee Gooseberry. I couldn’t find a photo of a whole bush on the web. I suspect the Miccosukee gooseberry had a wider, more continuous range during the Pleistocene and maybe as recently as the Colonial era. I hypothesize its decline to relict status is probably tied to the extinctions of the mastodon and the passenger pigeon. Several clues support my hypothesis. Notice the remaining populations grow near water. 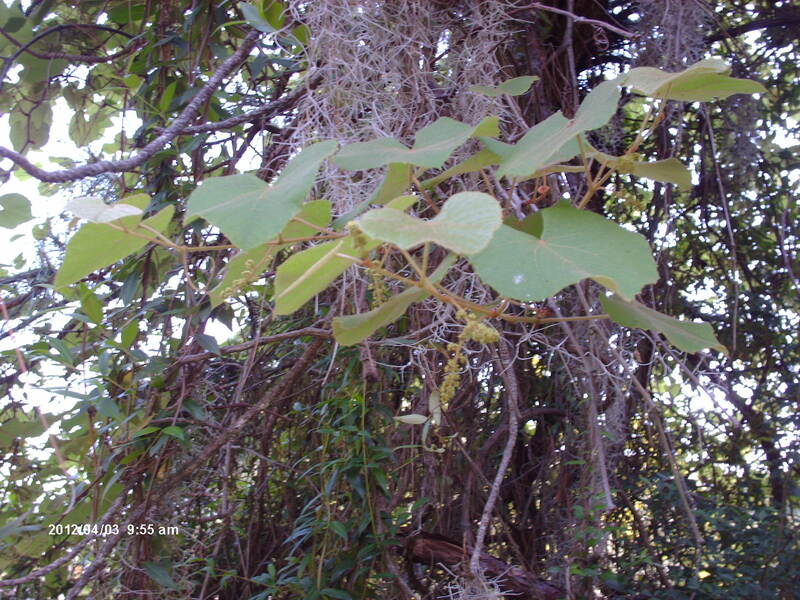 They grow near the shore of Miccosukee Lake in Florida, and on a steep north-facing slope along Steven’s Creek. Mastodons were semi-aquatic, and passenger pigeon flocks roosted along water ways. The surviving colonies are likely remnants of once larger colonies that thrived thanks to the bio-activities of mastodons and passenger pigeons. Mastodons facilitated the growth of gooseberries by eating branches and leaves of overstory trees, thus allowing more sunlight to reach the low growing bushes which don’t exceed 3 feet in height. Mastodons helped spread gooseberries by eating the bushes–the pruning caused the plants to spread vegetatively–and by spreading the fruit seeds in their dung. Passenger pigeon flocks had the same effect. When the incredibly enormous flocks of passenger pigeons roosted in one area, their dung would cover the ground, killing the trees through overfertilization, and opening the canopy to the benefit of plants such as gooseberry which became one of the first floral species to colonize a pigeon roosting area after the tree kill (pokeberry and ginseng are 2 other plants noted for growing in this type of environment). Poultry manure also raises the ph level of the soil. The Miccosukee gooseberry only grows on alkali “sinks.” The pigeons were also known for berry consumption and were capable of spreading the seed far and wide due to their highly migratory habits (their scientific name is Ectopistes migratorius). Miccosukee gooseberries have a low germination rate, probably contributing to their relict geographic range. This species may have been more widespread during the Pleistocene when mastodons roamed the land. Mastodons helped propagate this species in several ways. Mastodons ate tree branches, thus allowing more light to reach the low growing gooseberries. When mastodons ate the gooseberry bushes, it facilitated the growth of clonal colonies which spread via the root system. The gooseberries may have had a higher germination rate after passing through a mastodon’s digestive tract. 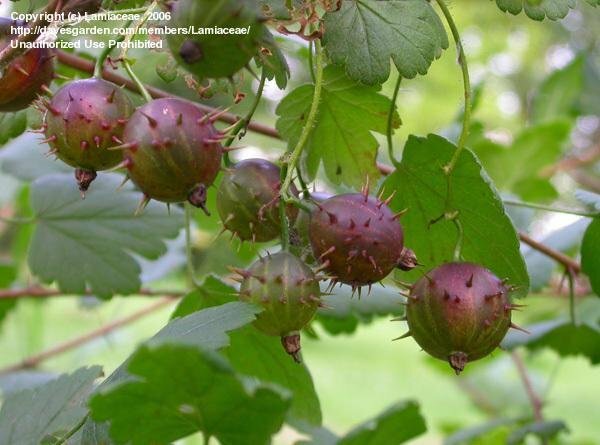 Miccosukee Gooseberries may have also relied on passenger pigeons to spread their seed. Passenger pigeons carrying gooseberry seed in their gut could spead the species far and wide. It’s probably no coincidence that the last 2 populations of Miccosukee gooseberries are located in the kind of habitat where massive flocks of pigeons formerly roosted. The manure from the massive flocks of roosting pigeons raised the ph level of the soil. This type of gooseberry only grows on soils with a high ph. Scientists attempting to ensure the survival of this species of gooseberry face some obstacles. The Miccosukee gooseberry has a low germination rate. This low germination rate supports my hypothesis that its decline coincides with the extinctions mentioned above. It’s likely gooseberry seeds need to go through the digestive tract of a mastodon or pigeon to improve germination. Efforts to transplant and propagate the Miccosukee gooseberry have been a complete failure. This species has low genetic diversity, but there is a high degree of genetic divergence between the Florida and South Carolina populations, evidence they’ve been isolated from each other for quite some time. The species wasn’t known to science until 1924, a generation after the extinction of the passenger pigeon. There’s no telling what its range was during the 19th century. The South Carolina colony wasn’t discovered until 1957. The Steven’s Creek population grows under a canopy of oaks, hickories, and beech. Gooseberries leaf out in November and lose their leaves in mid-summer, thereby taking advantage of the increased sunlight they experience when deciduous trees drop their leaves. Bumblebees and blueberry bees pollinate the flowers. One source claims the fruit is delectable but sour; another source says the fruit is of poor quality. I suspect the latter source is closer to the truth, but I don’t know because I’ve never eaten this variety. Unlike the Miccosukee gooseberry, the eastern prickly gooseberry is more widespread ranging from the midwest to the southern Appalachians. Reportedly, they are fairly common on Grassy Mountain in the Cohutta Wilderness Area of north Georgia where they grow on boulderfields in the understory of a birch-maple forest. The eastern prickly gooseberry (Ribes cynosbati) is common throughout the midwest and as far south as the southern Appalachians. Reportedly, they are a frequent component of an interesting forest growing on Grassy Mountain within the remote Cohutta Wilderness Area of the Chattahoochee National Forest. According to Jennifer Moore who wrote her college thesis about the forest on this mountain, the prickly gooseberry grows among the boulderfields on Grassy Mountain. The name is a misnomer–it hasn’t been grassy for over 100 years since pastoralists abandoned the land, and trees began growing in the absence of livestock grazing and fire. The boulders are the result of severe Pleistocene freeze and thaw cycles that broke up the rocky mountain surface. A forest of mountain maple, yellow birch, tulip tree, basswood, and buckeye dominates over a shrub layer consisting of smooth hydrangea, strawberry bush, raspberry, prickly gooseberry, and marginal wood fern. Windthrows are common here, aiding the growth of the shrubby zone. Much of the mountain is inaccessible to non-hikers, making it a real destination for people seeking solitude with nature. Better bring pepper spray–I bet there are lots of bears here. I’ve never eaten a fresh gooseberry. They aren’t cultivated in Georgia as far as I know. I tried growing some a long time ago but the plants croaked in the merciless heat. The canned ones taste like sweetened okra. Even canned gooseberries are rare in Augusta–none of the local grocery stores currently carry them. Dr. Thomas Walker led 5 men on an expedition through the wilds of western Virginia and eastern Kentucky in 1750. This was 20 years before Daniel Boone hunted and trapped the then Indian territory. Dr. Walker kept a fascinating if brief journal of his experience. Lyman Draper included the journal in his manuscript, The Life of Daniel Boone. I wish I could’ve seen Kentucky in 1750. Some early explorers reported seeing a thousand animals including bison, elk, deer, bear and flocks of turkeys all within 1 view of a Kentucky prairie landscape–a scene as rich as any on the African plains. Though not as pristine as it was during the Pleistocene before the Indians, it must have been much more beautiful and impressive than any landscape in today’s America. I’ve copied excerpts from Dr. Walker’s journal for this blog entry, and I’ve alternated them with my comments (in italics). Most amusing is the way Dr. Walker sums up incredible adventures in 1 short sentence without any elaboration whatsoever. Having on the 12th of December last, been employed for a certain consideration to go to the westward in order to discover a proper place for a Settlement, I left my house on the 6th day of March at 10 o’clock in Company with Ambrose Powell, William Tomlinson, Colby Chew, Henry Lawless, and John Hughs. Each man had a horse and we had two to carry the Baggage. I lodged this night at Col. Joshua Fry’s in Albemarle, which County includes the Chief of the head branches of James River on the East side of the Blue Ridge. March 13th. We went early to William Calloway’s and supplied ourselves with Rum, Thread, and other necessaries and from thence took the Waggon Road leading to wood’s or the New River. It is not well cleared or beaten yet, but will be a good one with proper management. This night we lodged in Adam Beard’s low grounds. Beard is an ignorant, brutish fellow, and would have taken us up, had it not been for reason, easily to be suggested. That last sentence is not clear to me. I think it means Beard was being inhospitable because he thought they weren’t going to pay him enough for lodging. Sounds like the exasperated Dr. Walker had to talk him into it. March 15th. We went to the great Lick on a Branch of the Staunton and bought corn of Michael Campbell for our horses. This lick has been one of the best places for game in these parts and would have been of much greater advantage to the Inhabitants than it has been if the Hunters had not killed the Buffaloes for diversion, and the Elks and Deer for their skins. This afternoon we go to the Staunton where the houses of the Inhabitants had been carryed off with their grain and Fences by the Fresh of last Summer, and lodged at James Robinson’s, the only place I could hear of where they had corn to spare, notwhithstanding the land is such that an industrious man might make 100 barrels a share in a Seasonable year. Even this early in colonial history, overhunting wiped out the game in some areas. Salt licks abound in Kentucky, formerly making it a destination for large herds of game. A Fresh is an archaic term for flood. This guys were handy, capable of building a log cabin in a day. March 27th. It began to snow in the morning and continued till Noon. The Land is very hilly from West to North. Some Snow lies on the tops of the mountains N.W. from us. How unusual is snow in West Virginia in late March? A cooler climate did prevail in the 1700’s compared to the present day. March 31st. We kept down Reedy Creek to Holston where we measured an Elm 25 feet around 3 feet from the ground. We saw young Sheldrakes, we went down the River to the north Fork and up the north Fork about a quarter mile to a Ford, then crossed it. In the Fork between Holstons and the North River, are five Indian Houses built with loggs and covered with Bark, and there were abundance of Bones, some whole Pots and Pans, some broken, and many pieces of mats and Cloth. On the West side of the North River, is four Indian Houses such as before mentioned. we went four miles Below the North River and camped on the Bank of Holstons, opposite to a large Indian Fort. 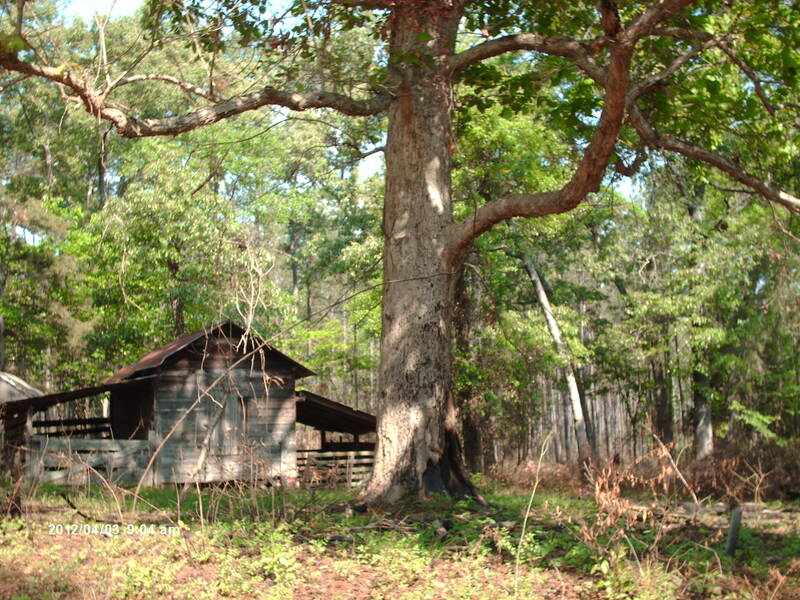 Wow, an elm with a 25 foot circumference, and an abandoned Indian village. Nice day of exploration. April ye 1st. The Sabbath. we saw perch, mullets, and carp in plenty, and caught one of the large Sort of cat fish. I marked my Name, the day of the month and date of the year on several Beech trees. No telling what kinds of fish these were because he used familiar English names for American species of fish. April 2nd. we left Holston and travelled through small Hills till about Noon, when one of our Horses being choked by eating Reeds too greedily, we stopped having travelled 7 miles. By reeds he undoubtedly meant bamboo cane which grew abundantly in pre-Colonial Kentucky. He treated the horses that choked on reeds by giving them a lot of water to wash them down. April 7th. We rode 8 miles over Broken Land. It snowed most of the day. In the Evening our dogs caught a large He bear, which before we could come up to shoot him had wounded a dog of mine, so that he could not Travel, and we carried him on horseback, till he recovered. They had many encounters with bears. Note–it snowed again. April 12th. We kept down the Creek 2 miles further, where it meets with a large Branch coming from the South West, and thence runs through the East Ridge making a very good Pass; and a large Buffaloe Road goes from that Fork to the Creek over the West Ridge, which we took and found the Ascent and Descent tollerably easie. From this Mountain we rode four miles to Beargrass River. Small Cedar Trees are very plenty on the flat ground nigh the River, and some Bayberry trees on the East side of the River. on the Banks is some Beargrass. We kept up the River two miles. I found some Small pieces of Coal and a great plenty of good yellow Flint. The water is the most transparent I ever saw. it is about 70 yards wide. Herds of buffalo trampled down vegetation and earth into sunken roads as much as 3 feet deep and often 20 yards wide. Indian paths followed these Buffalo roads. Today, many state highways follow these same paths. Coal and flint demonstrate interesting geology. River waters were clear then, unlike today’s muddy rivers. April 13th. We went four miles to a large Creek, which we called Cedar Creek, being a branch of Beargrass, and from thence Six miles to Cave Gap, the land being Levil. On the North side of the Gap is a large spring, which falls very fast, and just above the spring is a small Entrance to a large Cave, which the Spring runs through, and there is a constant Stream of Cool air issuing out. The Spring is sufficient to turn a mill. Just at the foot of the Hill is a Laurel thicket, and the Spring Water runs through it. On the South side is a plain Indian Road, on the top of the Ridge are Laurel Trees marked with crosses, others Blazed and several figures on them. As I went down on the Other Side, I soon came to some Laurel in the head of a Branch. A Beech stands on the left hand, on which I cut my name. This Gap may be seen at a considerable distance, and there is no other, that I know of, except one about two miles to the North of it, which does not appear to be So low as the other. The Mountain on the North Side of the Gap is avery Steep and Rocky, but on the South side it is not so. We called it Steep Ridge . At the foot of the hill on the North West Side we came to a Branch, that made a great deal of flat Land. We kept down it 2 miles. Several other Branches Coming in to make it a large Creek, and we called it Flat Creek. We camped on the Bank where we found very good Coal. I did not Se(e) any Lime Stone beyond this Ridge. We rode 13 miles this day. This is a more detailed entry than others. I think he’s describing a gap through the mountains to aid future settlers. April 16th. Rain. I made a Pair of Indian Shoes, those I brought out being bad. These guys had to be a jack of all trades. In additions to making their own shoes, they could build cabins and canoes in about a day. April 19th. We left the River but in four miles we came on it again at the Mouth of Licking Creek, which we went up and down another. In the Fork of Licking Creek is a Lick much used by Buffaloes and many Large Roads lead to it. This afternoon Ambrose Powell was bit by a Bear on the Knee. We rode 7 miles this day. This is my favorite passage. Oh yeah, and by the way, a bear bit Ambrose on the knee. No elaboration whatsoever. I wish he’d taken some literary license and added some exciting details. Like what happened to the bear? April 20th. we kept down the Creek 2 miles to the River again. It appears not any wider here than on the mouth of Cl0ver Creek but much deeper. I thought it proper to Cross the River and began a bark Canoe. April 21st. We finished the Canoe and tryed her. About noon it began to thunder, lighten, hail, and rain prodigiously and continued for two hours. They made a canoe out of bark in a day. No mention is made of the shelter I’m sure they made to stay out of the rain. April 23rd. Having carried our Baggage over in the Bark Conoe, and Swam our horses, we all crossed the River. Then Ambrose Powell, Colby Chew, and I departed, Leaving the others to provide and salt some Bear, build an house, and plant some Peach Stones and Corn. We travelled about 12 miles and encamped on Crooked Creek. The mountains are very small heareabouts and here is a great deal of flat Land. We got through the Coal today. Well, this answers the question of what happened to the bear that bit Ambrose. I guess they were contemplating making this a regular stop, if they planted corn and peach seeds. I wonder how the peaches did without any human care. Unlike most fruits which are mutants that need grafting, peach trees will grow similar quality fruit as their parents, and they can produce in as little as 3 years. April 26th. 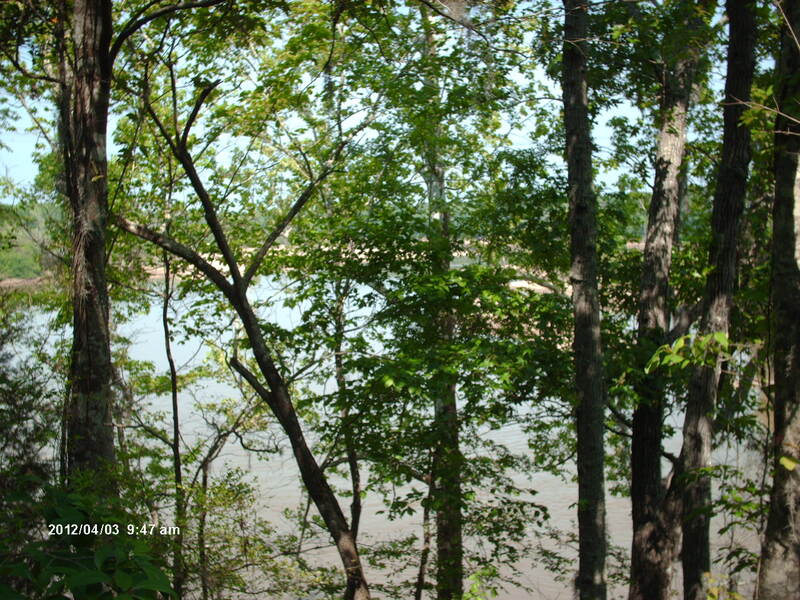 The River is 150 yards wide and appears to be navigable from this place almost to the mouth of Clover Creek…On the Lower Side of the mouth of the Creek is an Ash mark’d T.W., a Red Oak A.P., a white hiccory C.C. besides several Trees blazed Several ways with 3 Chops over each blaze. we went up the North Side of the River 8 miles, and Camped on a Small Branch. A Bear Broke one of my Dogs forelegs. They initialed their names on the trees. I’m sure these trees are long gone. Initialing trees was a way of proving where they were in case they got kidnapped by Indians or killed. I’m surprised about how aggressive bears were. April 28th. We kept up the River to our Company whom we found all well, but the lame Horse was as bad as we left him, and another had been bit in the Nose by a Snake. I rub’d the wounds with Bear’s oil, and gave him a drench of the same and another of the decotion of Rattle Snake root some time after. The People I left had built a House 12 by 8, clear’d and broke up some ground, and planted Corn and Peach Stones. They also had killed Several Bears and cured the meat. This day Colby Chew and his Horse fell down the Bank. I Bled and gave him Volatile drops and he soon recovered. Physicians still practiced the medieval treatment of bleeding. Colby Chew recovered despite the archaic treatment. The rattlesnake population must’ve been very high. The rocky country is favorable habitat for them because it provides plenty of denning areas. May 7th. We went down Tomlinson’s River the Land being very broken and our way embarrassed by trees that had been blown down 2 years ago. This is a landscape not often seen but common then. Lumber companies often harvest storm blown trees. Interesting geology. Probably been stripmined since. May 26th. We kept down the Branch almost to the River, and up a Creek, and then along a Ridge till our Dogs roused a large Buck Elk, which we followed down to a Creek. He killed Ambrose Powell’s Dog in the Chase, and we named the Run Tumbler’s Creek, the Dog being of that Name. Poor Ambrose. First bitten by a bear, then his dog gets stomped by an elk. May 30th. We went to the head of the Branch we lay on 12 miles. A Shower of Rain fell this day. The Woods are burnt fresh about here and are the only fresh burnt Woods we have seen these Six Weeks. The Indians burned the woods regularly to improve habitat for game. It was unusual for Dr. Walker to have travelled so long through country that hadn’t been burned lately. I wonder, if the local Indians had suffered a smallpox epidemic, and there weren’t that many setting fires here. May 31st. We crossed 2 Mountains and camped just by a Wolf’s Den. They were very impudent and after they had been twice shot at, they kept howling about the Camp. It Rained til Noon this day. June 4th. I blazed several trees four ways on the outside of the low Grounds by a Buffalo Road, and marked my Name on Several Beech trees…We left the River about 10 o’Clock and got to Falling Creek, and went up till 5 in the Afternoon when a very black Cloud appearing, we turn’d out our Horses, got tent Poles up, and were just stretching the Tent, when it began to rain and hail, and was succeeded by a violent Wind which Blew down our Tent and a great many Trees about it several large ones within 30 yards of the tent. we all left the place in confusion and ran different ways for shelter. After the Storm was over, we met at the Tent and found all safe. Sounds like they got caught in a downburst. June 13th. We are much hindered by the Gust and a shower of Rain about Noon. Game is very scarce here, and the mountains very bad, the tops of the Ridges being so covered with Ivy and the sides so steep and stony, that we were obliged to cut our way through with our Tomohawks. June 15th-16th. We got on a large Creek where Turkey are plenty and some Elks. we went a hunting and killed 3 Turkeys. Hunted and killed 3 Bears and some Turkeys. Dr. Walker considered the wolves and buffaloes as impudent, if they didn’t flee the vicinity when people appeared. June 20th…my riding Horse was bit by a Snake this day, and having no Bear’s Oil I rub’d the place with a piece of fat meat, which had the desired effect. June 21st. We found the Level Nigh the Creek so full of Laurel that we were obliged to go up a Small Branch and from the head of that to the Creek again, and found it good travelling a Small distance from the Creek. we Camped on the Creek. Deer are very scarce on the Coal Land. I having seen but 4 since the 30th of April. July 13th. I got home about Noon. We killed in the Journey 13 Buffaloes, 8 Elks, 53 Bears, 20 Deer, 4 Wild Geese, about 150 Turkeys, besides small Game. We might have killed three times as much meat, if we had wanted it. I’m surprised bears were the most common large mammal killed on the trip. I wonder, if the bears were attracted to the food cooked at camp. or were they simply more numerous in the heavily wooded country. Just 6 men sure did a lot of damage to the wildlife in just 5 months. No wonder market hunters wiped out all the large game in Kentucky by about 1840. Scientists know the Cretaceous Age (140 million years BP-66 million years BP) as a greenhouse world when glacial ice existed nowhere on the planet for millions of years at a time and water inundated 85% of earth’s surface. But several studies suggest that about 91.2 million years ago, an Ice Age occurred, lasting for approximately 200,000 years. Scientists noticed the oxygen isotope ratios found in fossil foraminifera dating to this time period indicated the presence of cooler ocean temperatures and the presence of polar ice. They believe this ice cap grew in the southern hemisphere on the continents of Australia and Antartica which made up one combined continent 91.2 million years ago. The polar ice cap was only about half the size of the present extent of ice covering the south pole today. It’s unlikely any ice covered the north pole then. There’s also evidence of a dramatic lowering of sea level during this 200,000 year episode. Low sea levels may explain how crocodylian species common to both Western North America and Appalachia (the eastern part of North America) colonized both sides of the Western Interior Seaway. The WIS was too wide during most of the Cretaceous for even saltwater species of crocodylians to cross, but if a chain of islands existed due to low sea levels, an expansion of their range was possible. Map of North America during the Cretaceous. The robust crocodylian (Deinosuchus rugosus) left fossils on both sides of the Western Interior Seaway. Although no Deinosuchus fossils have been found that date to before 83.5 million years BP, I think they must have colonized Western North America during the Cretaceous Ice Age, 91.2 million years BP , when lowered sea levels allowed a chain of islands to emerge in the WIS facilitating range expansion. As the illustration depicts, Deinosuchus ate tyrannosaurs. The Cretaceous Polar Cap grew on the continents of Antartica and Australia which combined to form a single continent then. Ironically, scientists believe intense global warming caused the formation of the Cretaceous south pole glacier. The heat increased evaporation, therefore increasing moisture in the atmosphere, resulting in heavy snowfall at high latitudes and altitudes as well as in Antartica. At high latitudes in Asia average annual temperature during the Cretaceous Ice Age was just 50 degrees F, compared to an average of 64 degrees F during the late Cretaceous. One of the dominant predators of the Cretaceous Ice Age was Yutyrannus huali; a 27 foot long, 3000 pound feathered tyrannosaur. It is the largest feathered dinosaur known to science. The presence of feathers suggests it lived in a cool climate. Large animals such as elephants, rhinos, and humans evolved toward a loss of fur in tropical climates, while closely related species such as mammoths and wooly rhinos did have fur in cooler climates. Dinosaurs evolved feathers as a thermoregulatory adapatation, and the feathers originally served the same purpose as fur. But feathers or fur would contribute to overheating in large animals living in tropical climates. This means later tyrannosaurs living in the warm climate of the late Cretaceous probably didn’t have feathers, and there’s no evidence they did. Yutyrannus, an early feathered tyrannosaur adapted for cold-temperate conditions. During the early Cretaceous tyrannosaurs competed with allosaurs and megalosauroids. Despite the similarity in appearance, tyrannosaurs were not closely related to allosaurs. Yutyrannus may have competed with allosaurs and megalosauroids which were contemporeneous but didn’t necessarily occur in the same geographical area. Allosaurs looked like tyrannosaurs, but were not closely related. The former had 3 fingers while the latter had 2. Tyrannosaurs generally were more massively built. Tyrannosaurs didn’t become extinct until the K-T impact; Allosaurs became extinct well before then. It’s likely tyrannosaurs eventually outcompeted allosaurs. The evolution of feathers on yutyrannus may have allowed them to dominate cooler regions and evolve further into a larger more powerful predator, that later, when the Cretaceous Ice Age ended, colonized the warmer regions and drove allosaurs into extinction. One species of pronghorn still races across the wilderness areas of the American west where along with bison they’re considered icons of the short grass prairie. But during the Pleistocene and Pliocene, there were at least 14 species of pronghorns prancing the plains of North America from what is now Florida to California and from Mexico to Canada. The only species of pronghorn still extant–Antilocapra americana. Note just 2 prongs. Some extinct species had 4 or even 6 prongs. Every species of extant and extinct pronghorn required short grass prairie and/or scrub habitat. Modern day pronghorns get skittish any time they’re near any trees, no matter how small the wooded area is. They like to be able to see around them for great distances, so they can use their incredible running ability to keep considerable space between themselves and predators. Pronghorns can run from 62-70 mph and can maintain top speed for long distances, enabling them to cover 5 miles in 5 minutes. Many a disapointed group of pioneers went hungry after unsuccessfully stalking the wary fleet-footed mammals. However, some learned an old Indian trick that took advantage of the creature’s overbearing sense of curiousity. It’s possible to lure pronghorns to within gun shot range by flashing shiny objects at them. Like just about every large mammal species, populations of pronghorns plummetted following European colonization, though with modern game management, they’ve rebounded to sustainable levels. Pronghorns are (or in the case of the extinct species were) characterized by having horns with deciduous sheaths, and they have distinctive teeth and skull ridges. They’re all browsers of shortgrass prairie plants, carefully picking the most nutritious plants from the available forbs growing among the grasses. They originally evolved from Merycodonts which were a family of Miocene-age ungulates. Pronghorns never crossed the Bering landbridge to Asia, unlike horses and camels, and they never penetrated into South America–probably because of their strict habitat requirements. Some species lived in southeastern North America during the Pliocene and early Pleistocene, but they’ve been absent from the region since the mid-Pleistocene (for at least 1 million years) when the corridor of scrubland habitat became interdicted with woodlands, most likely along the Mississippi River. This prevented recolonization of the region when habitat conditions may have again become more favorable. By the late Pleistocene all remaining pronghorn species were restricted to western North America. Some species are known from only a few specimens while others are represented by many fossils. The following is a summary of all the species of pronghorns that paleontologists know lived in North America over the past 5 million years. Prentices’s Pronghorn (Ceratomeryx prenticei)–a poorly known Pliocene species. Mathew’s Pronghorn (Capromeryx furcifer)–a small 4-horned Pliocene-Late Pleistocene species that was 2/3rds the size of a modern day pronghorn. It’s fossil remains come from California and Florida. Skinner’s Pronghorn (Capromeryx arizonensis)–Lived from the Pliocene-Mid Pleistocene. Specimens have been found in Arizona and Florida (Sante Fe, Inglis). Diminutive Pronghorn (Capromeryx minor)–A late Pleistocene species that weighed just 20 lbs. Bjorn Kurten believed it lived much like smaller African antelopes such as klipspringers which hide among rocks and shrubs. Its remains have been found at Rancho La Brea and other western sites. At Rancho La Brea it apparently was far more common than the modern day pronghorn which also lived in the region then. Reconstructed skeleton of the Diminutive pronghorn (Capromeryx minor), an extinct species estimated to weigh ~20 lbs. Mexican pronghorn (Capromeryx mexicana)–A late Pleistocene species found in Mexico that was about the same size as the diminutive pronghorn. Schuler’s pronghorn (Tetrameryx shuleri)–A large 4 -horned pronghorn of uncertain age. Its fossil remains have been found in Texas at the Dallas sandpit. Skull of Schuler’s Pronghorn (Tetrameryx schuleri), an extinct 4-pronged species of pronghorn. Fossil remains of this species come from the Dallas sandpit in Texas. Irvington Pronghorn (Tetrameryx irvingtonensis)–A mid Pleistocene 4-horned species. Same size as the modern pronghorn. Knox’s pronghorn (Tetrameryx knoxensis)–Little is known about this species. Mooser’s pronghorn (Tetramyrex mooser)–An early Pleistocene species found in central Mexico. It was 4-horned. Tacubaya pronghorn (Tetramyrex tacubayensis)–Another Mexican species with 4 horns. Hay’s pronghorn (Hayoceros falkenbachi)–A 6 pronged species the same size as the modern day pronghorn. Conkling’s pronghorn (Stockoceros conklingi)–It was stockier than the modern day pronghorn but was intermediate in size between that species and the diminutive pronghorn. During the Pleistocene it roamed the mountains of Mexico and New Mexico and was adapted to rugged terrain. Quentin’s pronghorn (Stockoceros onusrosagris)–A pleistocene species that lived in Arizona. Slightly smaller than the modern pronghorn. Garcia’s pronghorn (Antilocapra garcia)–A Pliocene species ancestral to the modern day pronghorn. Its fossil remains come from Florida. American Pronghorn (Antilocapra americana)–A Pleistocene and Holocene species. The only surviving species of pronghorn. Cheetahs and wolves preyed on pronghorns during the Pleistocene. The former was the only animal fast enough to outrun them over short distances; packs of the latter could wear down pronghorns suffering from malnutrition or injury. Large sandhills located on the northeast margins of several Georgia rivers have an interesting geological origin. During the Wisconsinian Ice Age, climate cycles of alternating glacial expansion and retreat occurred. Severe drought conditions in southeastern North America correlated with climatic phases of glacial expansion when much of earth’s water became locked in ice. Some rivers, such as the Ohoopee, for the most part dried up, while larger rivers suffered reduced flow and were clogged with sandbars. The dry climate and large herds of megafauna congregating around shrinking waterholes created a denuded landscape with sparse vegetation. Strong and frequent Ice Age winds blew the exposed riverine sand across the landscape into eolian sand dunes. All of these sandhills are located to the northeast margins of rivers–evidence the predominant winds of the Ice Age came from a west-southwesterly direction. 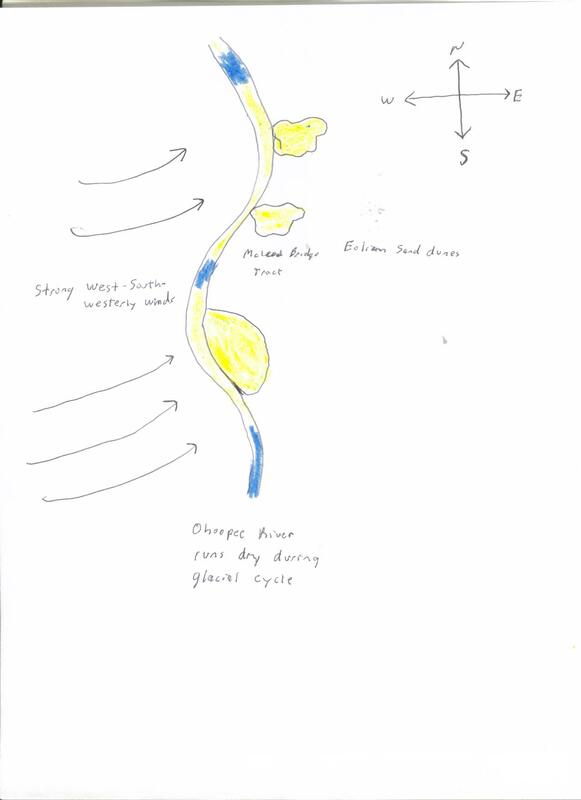 This is a crude diagram I made of the 3 giant sandhills along the Ohoopee River. 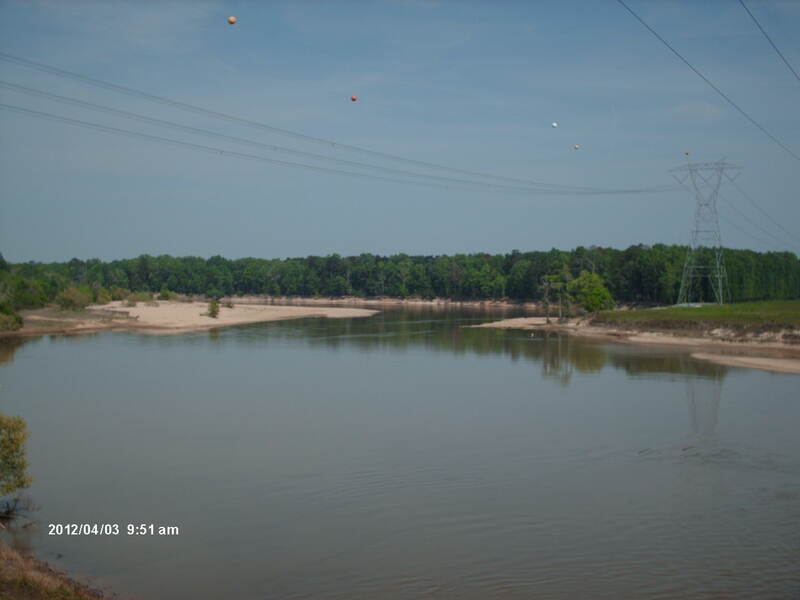 Other sand dunes can be found to the northeast edge of the Ogeechee River and the Canoochee River. These date to ~30,000 BP and ~45,000 BP. The Ohoopee sandhills date to ~20,000. The majority of geologists also think the windy dry conditions contributed to Carolina Bay formation as well. Today, scrub oak and pine hold down the sand dunes. This is part of the Mcleod Bridge Tract. The Nature Conservancy and the Georgia State government manage these areas. Predictably, the sign restricting vehicles past this point is pockmarked with bullet holes and is ignored. Tire tracks go well past the sign. Rednecks use the sand dunes as a trash dump. Shards of glass, spent shotgun shells, and rusted tools litter the preserve. It reminds me of a used ashtray. Almost looks like a desert. The tallest trees are 30 feet high. Some of the small scrub oaks may be 100 years old but never get big because the soil is so poor here. 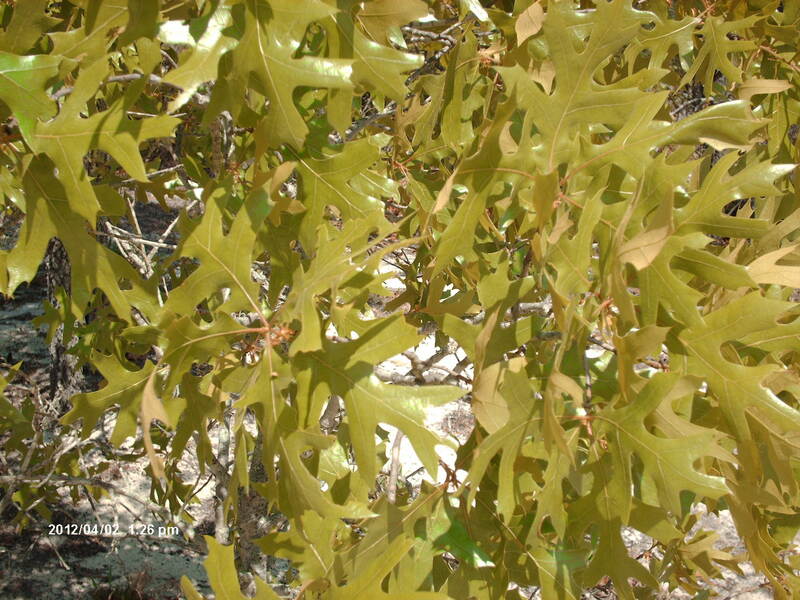 Turkey oak is a common tree here. So is sand post oak. Scrub oak and pine makes for a drab landscape. I was rather unimpressed. I had the opportunity to visit the Ohoopee Sand Dunes last week on my way to the Moody Forest Natural Area. To be honest, I was underwhelmed. 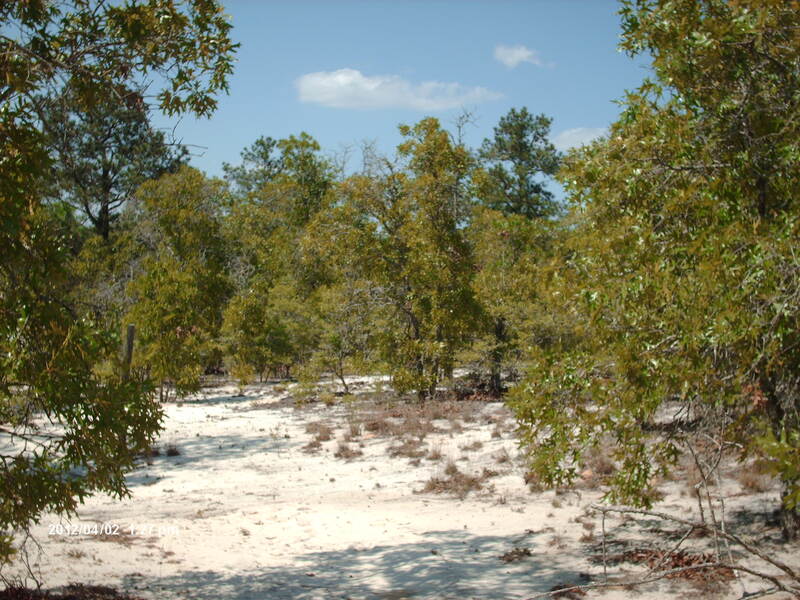 The vegetation consists of scrub oak and loblolly pine. I didn’t see nor hear a single bird, though I did see deer and turkey tracks. This scrub habitat seems dull and lifeless. Perhaps one reason I was unimpressed was because an extensive stand of scrub forest occurs about a 3 minute drive from my home, and it took 90 minutes to drive to a landscape that looks similar to one so close to my house. However, there are distinctly unique species living on the sandhill. 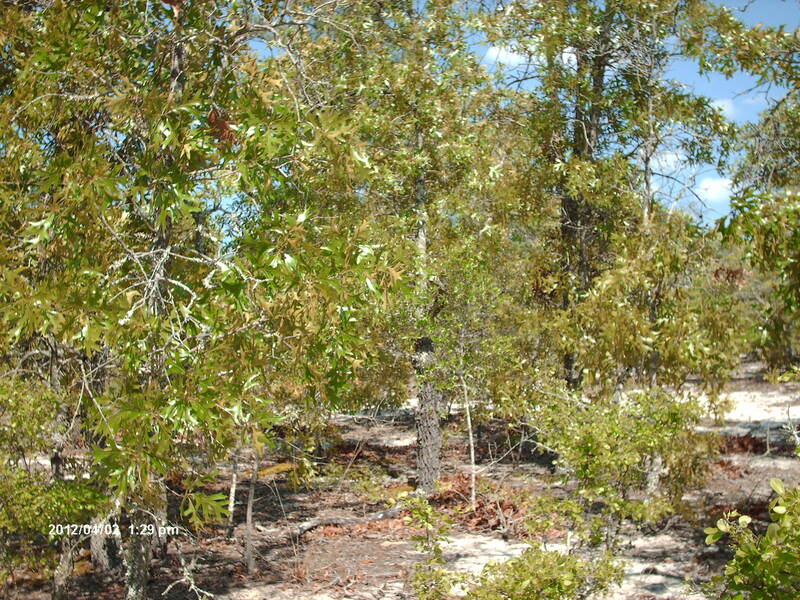 The scrub forest near my house is probably just second growth, although sandy soils are predominant there. 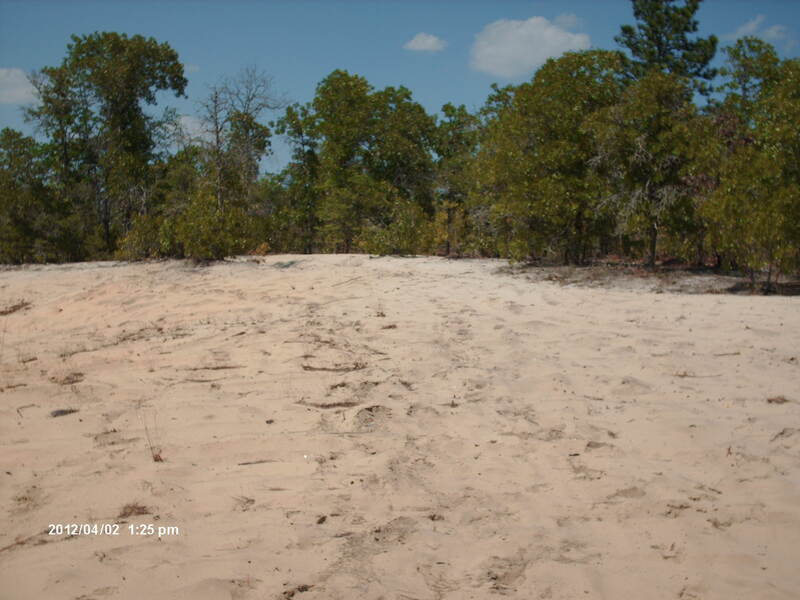 The sandy soils in south Richmond County originated from Eocene age beaches, not Ice Age riverine sand deposits. If I had the trip to do over again, I’d double the time I spent at Moody Forest and I’d skip the Ohoopee Sand Dunes. The latter may have an interesting origin, but they’re not worth the time spent off the beaten path. (They’re located 5 minutes southwest of Swainsboro.) I drove by the U.S. 80 tract and didn’t even bother stopping the car to get a closer examination. It consisted of nothing but closed canopy pine woods and dense oak scrub. Between Reconstruction and World War II, lumber companies raped Georgia, clearcutting the beautiful forests that hadn’t already been cleared by greedy, slave-owning cotton farmers. Jake Moody refused to let them destroy his beloved property, known locally as Moody Swamp. He made his heirs promise not to allow its destruction. In 1999 the descendents of his heirs sold 4500 acres to The Nature Conservancy, and today that organization shares ownership and management duties with the Georgia state government. Thanks to Jake Moody’s foresight and love of nature, a remnant of old growth forest still exists here. The Moody Forest Natural Area is located in Appling County, Georgia about a 10 minute drive north of Baxley and about a 10 minute drive south of the Hatch Nuclear Plant. It can be accessed via East River Road, a well-maintained dirt road off Highway 1. The dirt road is a smooth ride with very few bumpy rutted areas. Despite being in the middle of nowhere, there are many nice houses on the opposite side of the road from the nature preserve. The people living here must really enjoy country living–I saw not a single house for sale. A fat old dog sleeps in just about every resident’s front yard, and many people keep cows, horses, and/or chickens. One person even had an apiary. I rank East River Road as one of the best places in Georgia for a naturalist to live. Big slash pine. 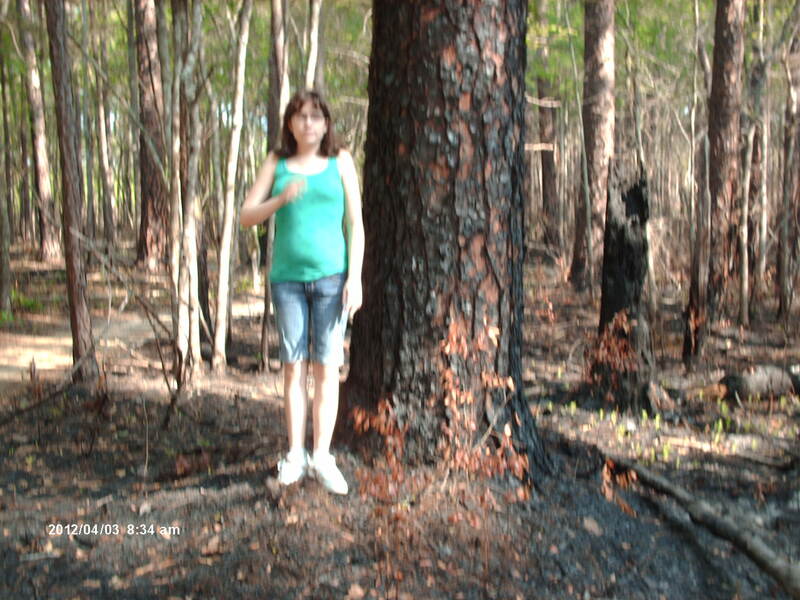 Note the burned trunk. 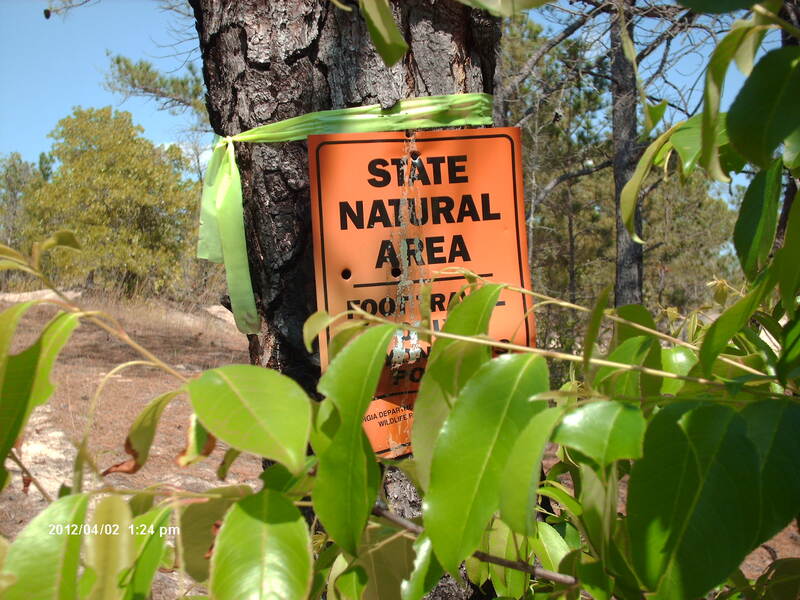 The Moody Forest Natural Area is burned on a regular schedule to improve habitat for wildlife. Mature pines and oaks usually survive light ground fires. A swamp chestnut oak next to an old dwelling of some sort. There’s space under the shack for chickens and a covered place to hitch the mule up to. The oak is bigger than the slash pine in the above photo but a size comparison with a person wasn’t possible–by this time on our hike, the mosquitoes had chased my hiking partner into the car. 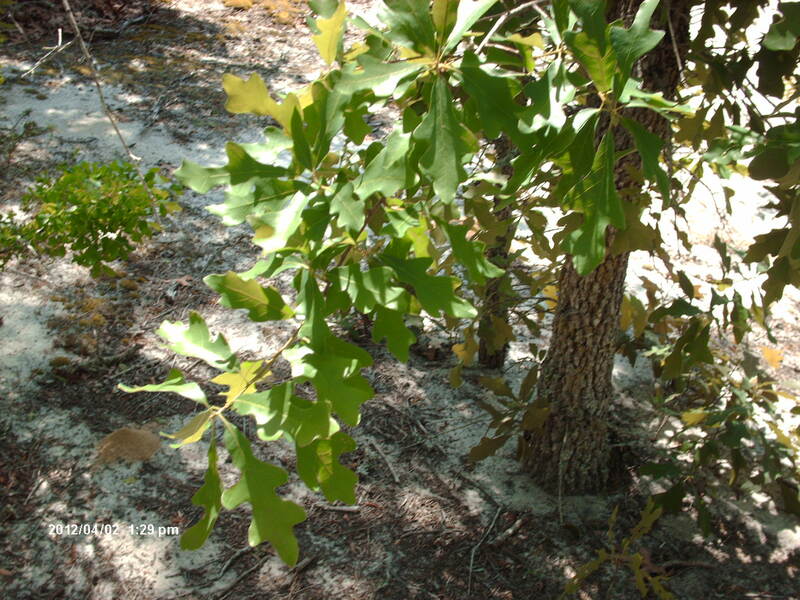 There are reportedly 200 year old post oaks and overcup oaks in the preserve. Although dominated by pine, there are a surprising number of oaks here including swamp chestnut, post, Shumards or black (I can’t tell the difference between those species), southern red, overcup, and laurel. There are 5 miles of trails in the preserve besides the access road that is adjacent to the Moody Family cemetery. Tavia’s Loop Trail is 3 miles long, and the River Trail is 2 miles long but because it’s not a loop that means it’s a 4 mile hike back and forth. If I was by myself, I would have hiked both, but there are no restrooms located anywhere near the preserve, and my wife needed one. Spending money on a public lavatory probably isn’t a high priority for The Nature Conservancy. I get the impression The Nature Conservancy doesn’t really want people to tour their protected sites. The least they could do would be to build an old fashioned rustic outhouse. Open pine parkland woods. I didn’t see a single longleaf pine. Instead, I saw loblolly and slash pines. 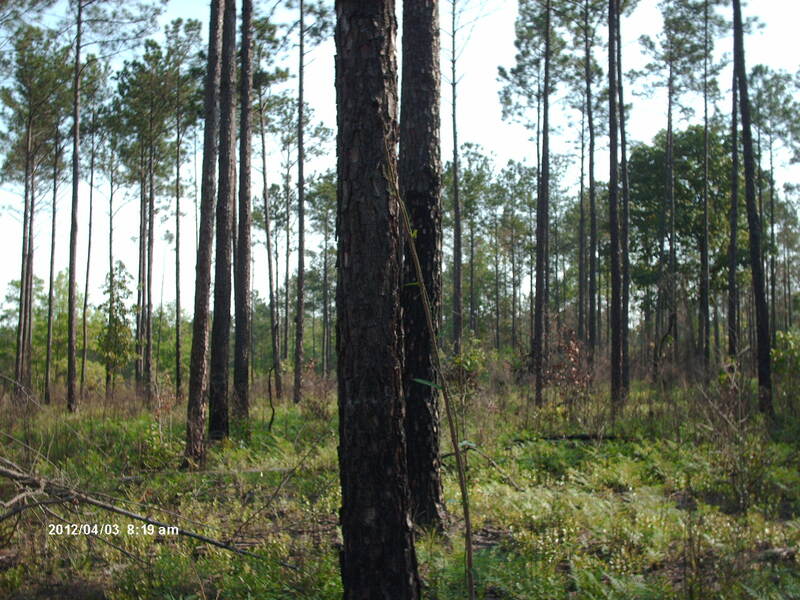 350 acres of longleaf pine-wiregrass savannah occurs at Moody, but I didn’t see any. I hiked 1/2 mile up an access road and then another mile on Tavia’s trail, and I didn’t seen a single longleaf pine tree. There was barely any wiregrass. At the time of European colonization, longleaf pine savannah was the dominant landscape on the southeastern coastal plain. Even in the protected Moody Preserve it takes up less than 10% of the land area, showing just how rare it is now. Perhaps, if I had the opportunity to complete the whole loop trail, I would have come across it. 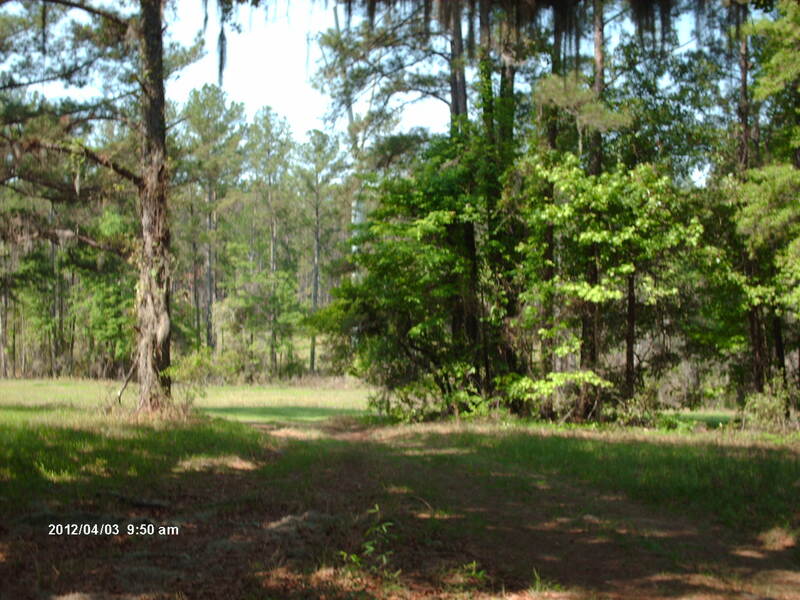 Instead, I saw mostly open pine parkland dominated by loblolly pine, slash pine, and post oaks. Information I’ve read about Moody Forest makes no mention of ferns. This type of fern is by far the most common plant in the undergrowth here. I think it’s royal fern, but I’m not sure. It’s worthwhile to see nature in person rather than just reading about it. Here’s some wiregrass sprouting up after a recent burn. The only people we encountered were a couple of workers with firestarting equipment. By setting fires, they are mimicking Indian land management techniques . Of course, before the Indians, fires were more irregular and less frequent. Pleistocene fires may have some times been devastating. However, more often than not, Ice Age fires were less severe because the megafauna consumed so much plant material there was less fuel, and dry climate phases fostered less plant growth. 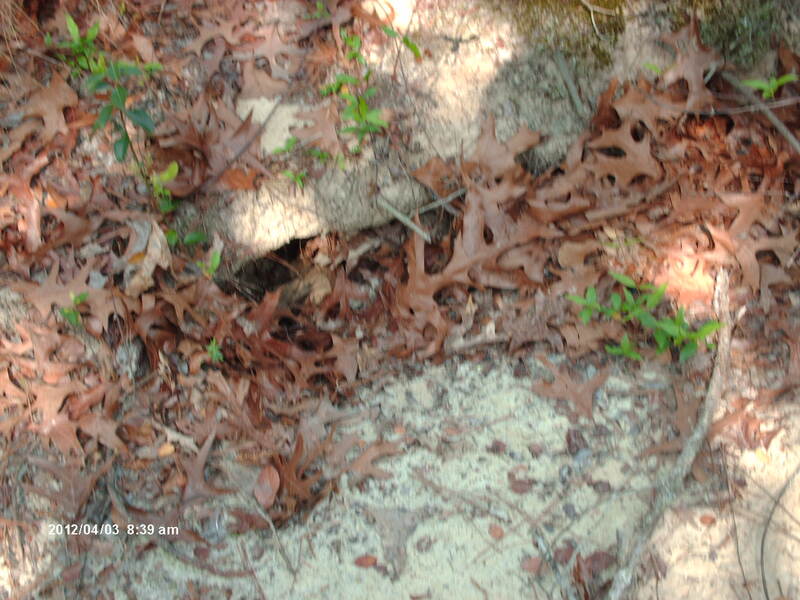 A burrow dug by an endangered gopher tortoise. I didn’t see the tortoise but I did see 2 rabbits just above the burrow. I suspect they use the burrow for shelter. I also saw a red-shouldered hawk carrying a cotton rat, turkey and black vultures, some gray squirrels, pileated woodpeckers, a red-bellied woodpecker, deer tracks, and lots and lots of mosquitoes and gnats. A place to hitch up the ole mule. 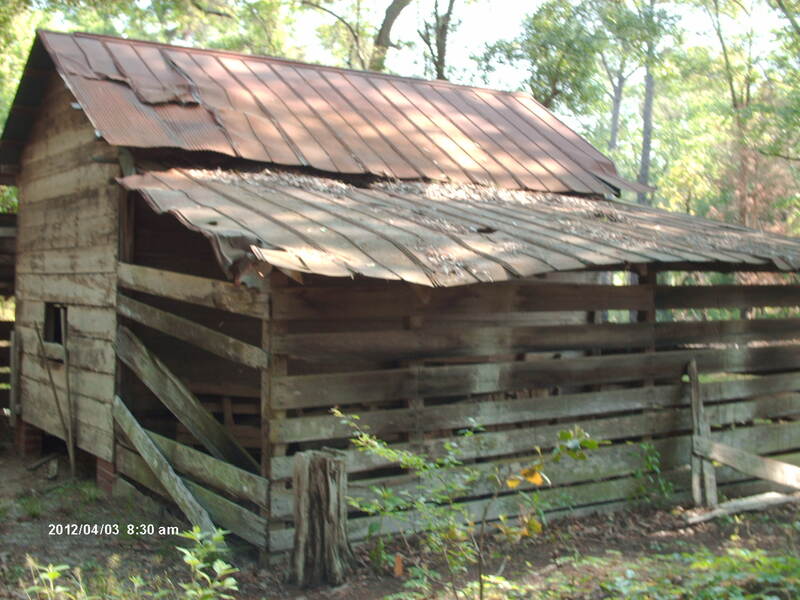 The preserve needs an old-fashioned but working outhouse. Women don’t like to squat in the wilderness. 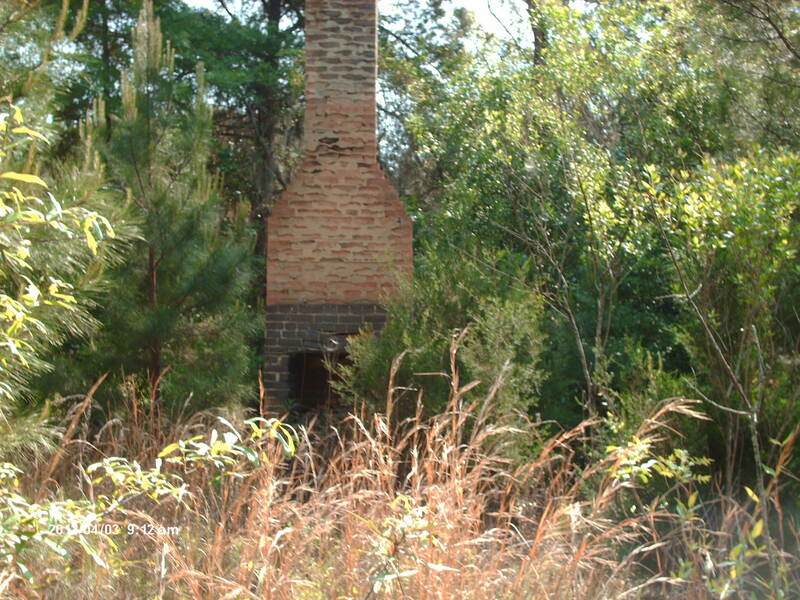 This former homesite has 2 fireplaces. This is one of them. There are plenty of old ruins at Moody making it doubly interesting to explore. The Moody Natural Area offers much to explore for the naturalist and the historian. I barely scratched the surface during the brief but treasured time I was there. I didn’t even have time to see any part of the River Trail. Reportedly, 600 year old cypress trees stand there. 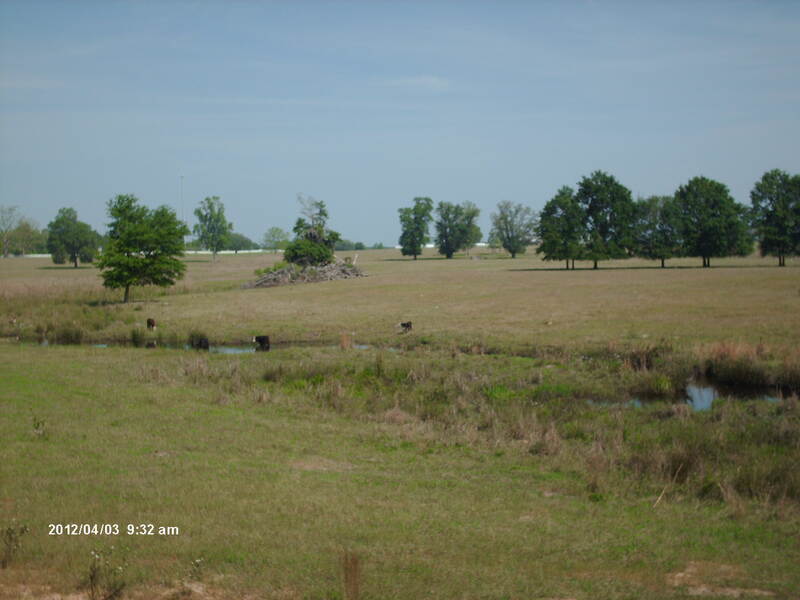 This cow pasture sits on the corner of Highway 1 and East River Road. It’s the only really open space I saw in the vicinity of Moody Forest. I pretended the cows were long-horned bison and imagined being in the Pleistocene. There were Canadian geese by the creek, but I don’t think they’re visible in the photo. I didn’t have an opportunity to hike the River Trail in Moody Forest, but I wanted to see the Altamaha River up close. The intersection off Highway 1 and the river has a Roadside Park that I investigated instead. 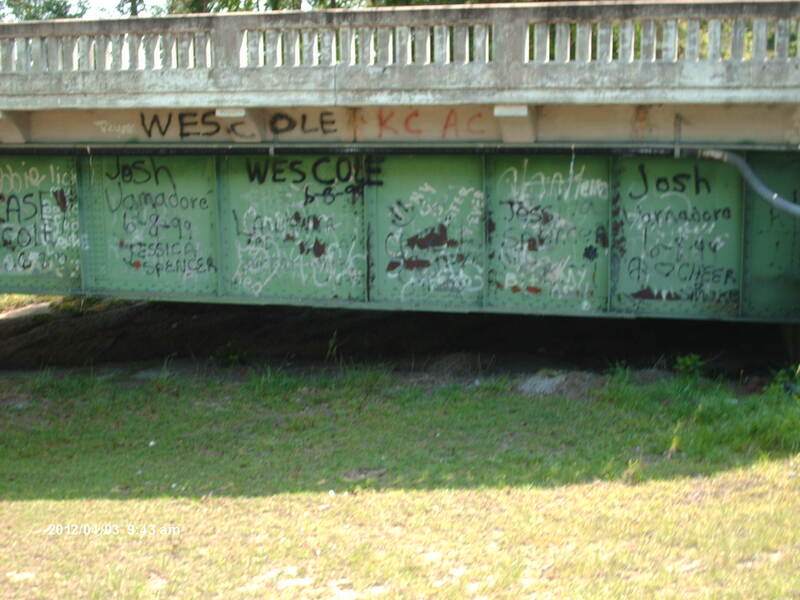 Graffiti on the Highway 1 Bridge that spans the Altamaha. I love graffiti. Spanish moss-draped post oaks. This is an unusual combination of species. 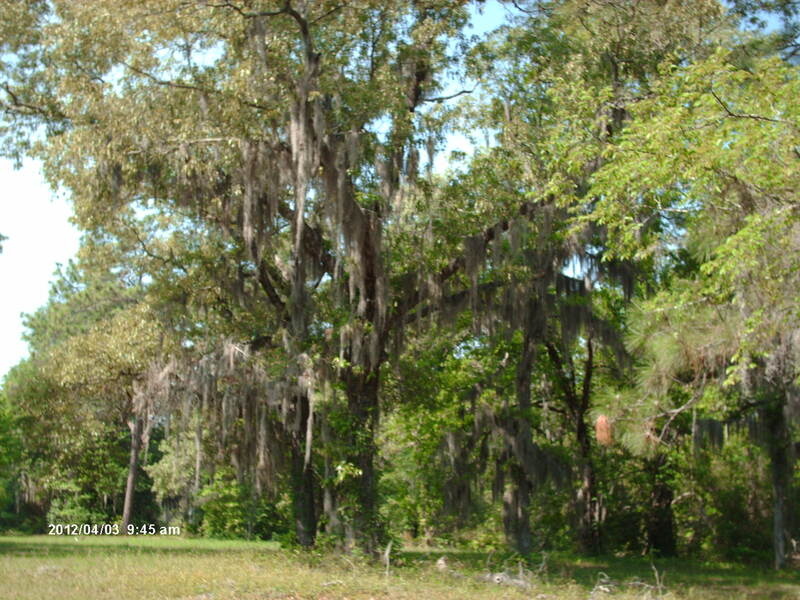 Post oaks grow on dry upland sites; Spanish moss prefers warm moist lowland sites. However at this site, they co-occur and dominate. This is how I imagine a common Pleistocene landscape in Georgia might appear, but with taller grass and populated with bison and horses. The Altamaha River. This bend of the river almost looks like a lake. A scary steep bluff. Almost looked like a cliff from here. Here’s proof that a kind of grape other than muscadine grows in south Georgia. I think this is a River Grape which produces small blue fruit. An outcropping of Paleocene fossils can be found at Ft. Gaines Georgia. The Paleocene lasted from 65 million BP-55 million BP. Science fiction stories featuring time-traveling heroes from the future often show them solving their own financial problems with knowledge of which stocks to pick. This is a convenient, if overdone, subplot solution that gives the hero unlimited money without having to muddy up the plot by having the character engage in a mundane occupation. If I could time travel to just 2 weeks ago, I could have invested in Ohio Arts, the makers of the Etch-A-Sketch. Its price has tripled from $4 a share to $12 a share after the Etch-A-Sketch became the symbol of a flip-flopping presidential candidate. The Etch-A-Sketch is a neat toy for kids who can draw a scene, shake it up to erase it, and start over. This reminds me of a geological era–the Paleocene. The famous asteroid collision that wiped out the dinosaurs occurred about 65 million years ago and is known as the K-T impact. Scientists believe the impact cooked the atmosphere, and the only organisms able to survive were those burrowed underground or living in water. 100% of the dinosaurs and 57% of the megaflora became extinct. Like an Etch-A-Sketch drawing, most life on earth simply vanished. Crocodiles, turtles, birds nesting in burrows, fossorial mammals, insects, and plant seeds survived and provided the basis for a redrawing of the ecological picture. 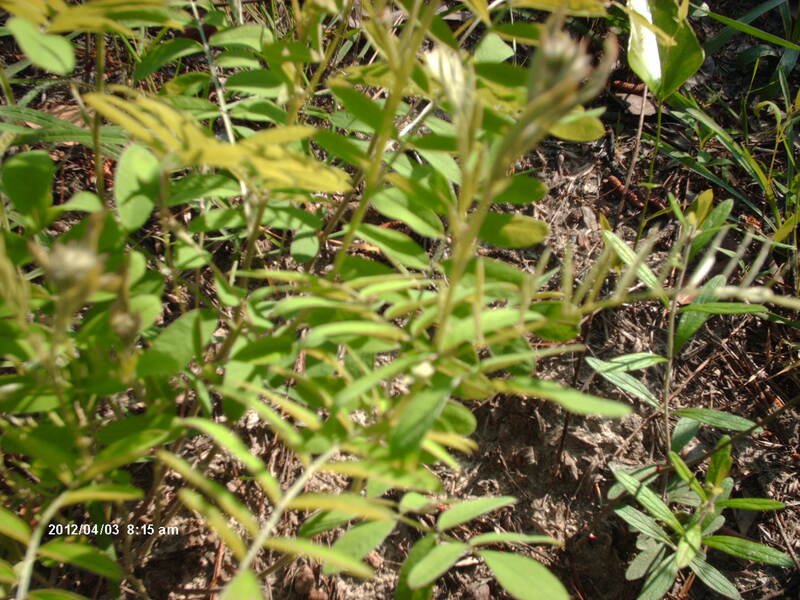 Ferns thrive in ashy soils, and there was a lot of ash after the fires of the K-T impact. They were the first plants to dominate the landscape when they grew their new shoots into an environment with no shady competition. Seeds of surviving plants germinated, and plant species eventually evolved to fill new ecological niches left vacant by the mass extinctions. The same was true for animals. All animals alive today evolved from detritus feeders because for decades dead plant material formed the base of the food chain. The rapid evolutionary response to the K-T impact makes the Paleocene a fascinating period of time for paleoecologists to study. Unfortunately, most paleocene fossils in southeastern North America are almost a mile underground and inaccessible. However, there are 4 small localities where the face of the land has eroded into Paleocene outcroppings. A couple are in Mississippi, 1 is in Alabama, and the 4th is located in Ft. Gaines, Georgia. For the layman there’s not much to get excited about here–the fossils consist of foraminifera (single-celled protozoa with shells) and pollen. But for the paleoecologist these microfossils are thrilling. Pollen and foraminifera reveal quite a lot about the environment of the Paleocene. The Paleocene flora consisted of a strange mix of temperate and tropical species, though the former were probably adapted to much warmer temperatures than those of today. Plants from the walnut, birch, and elm families grew side-by-side with those from the mango-cashew, balsa, sweetsop, palm, frankinscense, and tea families. The Paleocene lasted for 10 million years, and the pollen record shows that plant diversity steadily increased by 15% until the PETM. The PETM is an acronym for the Paleocene-Eocene Thermal Maximum. For some undetermined reason average global temperatures suddenly increased by 10-20 degrees Fahrenheit, and CO2 levels in the atmosphere spiked too. This either directly or indirectly caused the extinction of 38% of plant species and is known as the terminal Paleocene extinction event. Scientists think there are several possible ecological causes for the floral extinctions: The climate became drier to the detriment of water-loving species of plants, the increase in CO2 levels in the atmosphere may have favored some species of plants over others, and new species of animals evolved that the plants had no defenses against. Scientists don’t think the climate changed faster than the plants could adjust their geographical range to, but this may have been a an indirect contributing factor. Only 1 Paleocene vertebrate fossil has ever been discovered in southeastern North America. In 1932 at Caddo Parrish, Louisiana while drilling a core for an oil well, workers accidentally hooked the skull of Ansinochus fortunatus–a kind of archaic ungulate. Half of the southeast was under ocean water during the Paleocene, but uplands hosted an interesting cavalcade of primitive mammals, if we assume they were similar to those found at Paleocene fossil sites in other parts of the world. Marsupials, monotremes, and multituberculates were common. Multituberculates were a family of rodent-like mammals that lived in the tree tops of the Cretaceous but became extinct during the early Eocene. Though they resembled rodents, they were not placental mammals and therefore not at all closely related to any extant family of mammals. Insectivores were the evolutionary base for many placental mammals including the nyctertheridae (pre-bat) and tree shrews (pre-primate). Condylarths were archaic hooved animals. Extinct creodonts were the dominant meat-eaters along with primitive carnivores and carnivorous ungulates. Pantedonts, uinitheres, and xenoungulates were the first large herbivores to evolve following the extinction of the dinosaurs. The below link is an excellent source of information on Paleocene vertebrate life. You are currently browsing the GeorgiaBeforePeople blog archives for April, 2012.